Today we welcome Adrienne Frances! Dylan Mathews grew up in a house that was always filled with good-looking guys. However, with her four protective older brothers, they never stood a chance. Dylan knew she loved Ben McKenna from the first time she laid eyes on him. When he started sneaking in her room, she thought he felt the same way. But just as their passion ignited, he left for college and never came back. Returning home after 5 years, Ben realizes Dylan has always been the one for him. 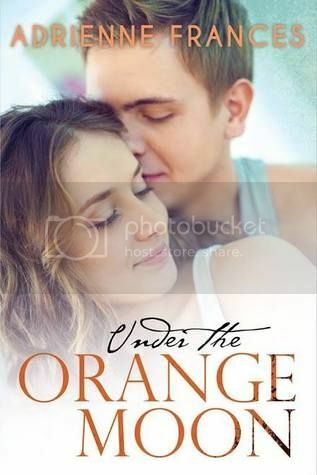 Can he win back her heart and finally find love under the orange moon? I have been writing for as long as I can remember. I still remember the first book I wrote when I was a little girl, The Amazing Mr. Pencil. I even created a binding on it with duct tape and tried to sell it. My father was the one who bought it. Under the Orange Moon took me about six months to finish. However, that’s just the beginning. 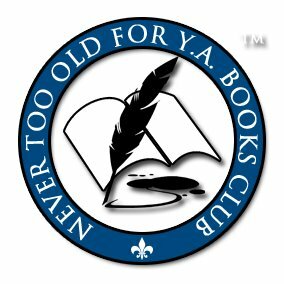 There is a LONG process of edits, track changes, BETA readers, more edits, and more BETA readers to go through before you can even set a release date. I would have to say that, in my case, Under the Orange Moon took nearly a year’s time to polish and complete. There are books that have moved so many readers that I have picked up and felt absolutely nothing for them. And then there are those books that you literally cannot put down. You see it and you feel it. I love that feeling; it’s amazing. To put it simply, I think it depends on the reader personally and the connection that they get from what they’re reading. Well, it is definitely dark outside when I write. My schedule revolves around how quiet my house is, so it’s either while my family is away for the day or sleeping. I have a nice balance for the most part. My boys are 11 and 15 and they are BUSY. My husband works a lot, so I’m the one who does most of the shuffling to practices, events, and obligations. But I keep my Microsoft Surface with me everywhere I go. It would not be out of the ordinary for anyone in my town to see me sitting in the bleachers at a basketball game with my surface while going over my editor’s notes. I do get a little whiplash from looking from the court to my screen. It is what it is, though. Above everything else, I am a mother. I research a lot. If there is something confusing or that I’m not sure about, I don’t use it. For Under the Orange Moon, my sister actually lives in Phoenix. I try and fly out there at least once a year. I absolutely love Arizona. As far as the ideas for the stories goes, I think I just have one of those crazy imaginations. I can’t really explain it. In going back over them, I am surprised at how much of myself I put into them. There is always a nod to something that my family and friends will understand. I don’t mean to do it when it’s happening, so I have to laugh when I see it later. I have written three complete novels. The two that I haven’t released are still under construction, or so to speak. I love the first one. Under the Orange Moon will always be special to me, though; it was the one that gave me the confidence to move forward as an author. Linda Mathews has a strong resemblance to a mom that I knew as a child. She was just always that mom, even though she wasn’t my real mom. I still see her to this day and she remains one of my most favorite people. Anywhere that’s quiet?? Ha! I am most successful in my office at home with the door closed. I love to sing and, if I do say so myself, I have an okay voice. I sing everywhere I am: the mailbox, the shower, the kitchen, the car, work…everywhere! And I love to hear other people sing. Someday, if I ever get to witness a live flash mob, I’m not sure that I will resist the urge to jump in and join them. My father is convinced I had a love affair with one of the neighborhood boys; my brother is proud, but refuses to read anything I’ve written with “spicy scenes” in them; my sister might be my biggest fan; my husband is just delighted, and my kids still think I’m a big nerd. On my free days, I can be found with my husband and two sons. We love to camp in the spring and summer, but they keep me pretty busy with their sports. Ugh. On a rare night out, I love to just be with my friends and laugh over dinner and drinks. The only thing I can ever offer is to write, write, WRITE. I think one of the biggest blocks to completing the dream of being an author is the point in which the writer gives up out of discouragement. That is so sad. Patience and never giving up is the key to success! I wanted to be an English teacher, a singer (I even made key earrings like Janet Jackson’s, 80’s style! ), a writer, and a MOM. Right now I am on a major Jojo Moyes kick; however, I do love Amanda Maxlyn and Steph Nuss (I’m not just saying that because they are both Bandit authors), Ann Brashares, Tiffanie DeBartolo, Natasha Boyd, Jennifer Crusie, Lisa Kleypas, Anything Bronte…there are so much more! DO write your little heart out. It’s a lot of work that takes a ton of drive, discipline, and dedication. DON’T get discouraged. Delete ONLY AFTER your freewrite is over. And, finally, learn to take the criticism; it comes in truckloads and, as a writer, your job is to learn from those critiques. They are helpful when you get out of your own way and accept them. I am working on one of the other novels that I have written. It’s long and a bit darker than Under the Orange Moon, so that has been a tough switch. I am so excited about it! Thanks so much for being here today, Adrienne. Great to have you! Adrienne Frances works as a writing consultant at a university near her home. In her spare time, she loves to be with her husband and two sons, who have made her exactly who she is today. Writing is a passion that she has appreciated for as long as she can remember. She believes that a wild imagination is a terrible thing to waste and should be captured and brought to life by all that are blessed to have one. This way of life is what led her to become a writer and later an author under Bandit Publishing. Her first celebrated novel, Under the Orange Moon, is set to release soon.